As the dust begins to settle on the endless possibilities of social media, marketers are gearing up for the next wave of digital growth. From Google’s report on mobile is finally making an impact on search to how social media is used by 25% of the companies worldwide, I’ve always focused on opportunities that align with business objectives. Especially if there is a win win situation for both consumers and brands. As the demand for businesses to be more transparent and social media becomes mainstream so has the technology that supports it. This is happening both in B2C (business to consumers) and B2B (business to business) verticals creating a massive disruption to challenge traditional business models. It’s also the reason why the future of marketing will require media channels to integrate into a dynamic attribution model that supports business intelligence. Today, consumers demand quality services, accountabilities and value for money. Whether you’re an agency, a consultant or a business owner (trying to do your own marketing), marketing now demands you to back up your assumptions about your customers with data and actionable insights. Effective marketers are already using direct response tactics to abstract data for re-targeting and segmentation. As the adoption curve is changing how consumers engage brands online, the value proposition is changing. And if the value proposition is changing, can you sell in the same way? Besides the ROBO (research online, buy offline) and TOBO (try offline, buy online), you now have social influence, digital word-of-mouth and public reputation records. This is why I’m a big believer in a balance portfolio of media acquisition from search, social to SEO. If you want to get immediate, relevant traffic, I invite you to check out paid search such as Google Adwords, Microsoft AdCenter (Bing) and Facebook Ads. 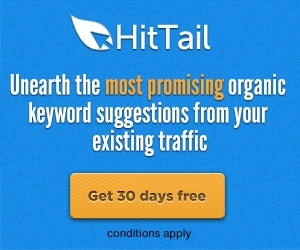 If you don’t have any affiliates or email lists but you want rapid result, there is nothing better than putting some money to work for you in terms of testing your hypothesis on where to get your traffic. Especially with Google and Bing, you will be able to target those that are either doing research or those that are ready-to-buy but just fishing for the best deal. People submit a search query and you display your direct response ad copy to see if they click on your link. So why would Facebook ad qualified as paid search? Well it’s because Facebook is the latest hybrid of search and social. Although Facebook users are passive, it offers mass reach with hyper-targeting opportunities based on a user’s profile, “likes,” and interests. You see if you’re logged in to your Gmail while searching on Google, your search results are ‘personalized’ for you. On the other hand you friends’ recommendations show up in real time when you’re logged in Facebook while searching on Bing. The search engine is becoming more tailored towards user interests and the influence of their social networks for even better direct response and behavioral targeting. Although Google is still the dominant force in search engine marketing, I must say that Facebook is facilitating a new kind of marketing online leveraging social interactions. An easy way to look at it is to understand that in Google you’re targeting people that are further down the sales funnel while Facebook targets the entire conversion funnel that includes demand harvesting demand generation. I see the viral potential via the social factor in Facebook as a good enough reason for brands to start building a fan base while the cost is still low. Like Adwords, the cost of Facebook ad will only going up as it’s already been reported by Efficient Frontier that the CPC (Cost per click) has gone up 40% from last year’s Q1 to this year’s Q1 as competition heats up. I will go into more detail on Facebook marketing in upcoming post. Content marketing has long been about creating quality content as leverage for SEO to build and raise an online profile. This is why content distribution and syndication tactics were widely used in the past few years to create inbound links that build authority in the eyes of the engines. Although seemingly low cost compare to paid search, SEO isn’t just about links or quality web content because you pay on the backend in the form of time and up keeping of your links. Think of it as getting a really good deal on an expensive car, there is still the cost and risk of ownership and maintenance. In fact, generally SEO is a far more profitable strategy for long term lead generation especially if you can corner a niche with little competition for certain keywords, you will be able to show up on the first page of Google with little effort. And now, the search engines are adding social signals to the mix as an additional measure of quality and relevance. Social content such as images, articles, video, tweets and even comments directly correlates to search queries are now inbound link in organic search results. Let’s look at an area that I think are widely overlooked by marketers. For example, explore local searches via social profiling (name, address, phone, site, social links, etc.) to boost the visibility of your local site on the web. Start with Google Places Listing if you want to be listed locally then go through other categories on the side bar of Google searches. From my observations in Adwords and SEO, geo-local keywords aren’t yet as saturated compare to general keywords which presents a lower barrier to entry if you combine it with your “brand” keywords. Identify the keywords you want to rank for in top search engine results page (SERP) and often you’ll find low-hanging fruits in longtail keywords that aren’t as competitive especially in niche markets. And finally, search Google with keywords that your customers would use in another state to see if you can tie localized keyword in there. You’d be surprise on how different the search results may be. Don’t forget the social factor in SEO. The fact that Google and Bing organic links can display peer recommendations is another attribution to conversion. The take away: Advertising online is easy, you place an ad on Google or send out a tweet on Twitter or even leaving a comment on a blog can bring you traffic. Acquiring quality traffic that will help you achieve your goal whether it’s to build your email list, sell your products or call you for a consultation, it simply has to be relevant. Combine search, social and SEO is the optimal way to get the most out of your Internet marketing efforts. For short-term validations, pay per click (PPC) in any form is one of the most cost effective online advertising methods to test out your hypothesis. For short-term campaigns, add social media to your targeting strategy will help you abstract more data about your target audience. For long-term sustainable ROI, I recommend incorporating SEO strategy to help you reduce affiliate leverage and take control of your overall marketing costs (think diversification). It’s indicative that marketers should incorporate a holistic approach to gain full visibility of the marketing funnel. This meaning to attribute the proper “assists” across all the touch points from social to search. At the end, it’s all about having the right data that tells you what people actually do so you can make better business decisions to optimize and engage.